Brooks Palmer is a lyin’ fool. I write all his blog posts. 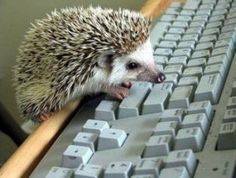 I’m Midge the Hedgehog, the brains behind this operation. Just to give you the real Magoo, Brooks is currently facing the corner of the room, trying to walk forward, wondering aloud why he can’t.